It was the last week of my holidays. I had hoped to chase on a few days, but unfortunately a huge winter like high pressure had parked itself over southern Australia for several days on end. 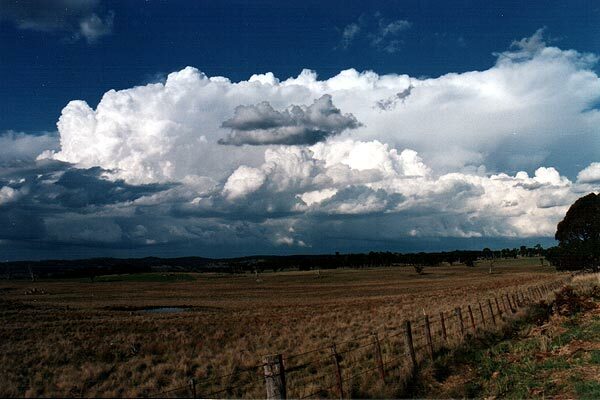 This blocked cold fronts and kept trough systems back in Western Australia. In the end on Thursday (23rd October) with less than 4 days before I had to return to work I decided on a trip to the Northern tablelands of New South Wales regardless. Normally at this time of year there can be several severe storm days in this area. My trip storm wise was looking miserable, stable high pressure and no forecast of storms until at least Monday or Tuesday. I consoled myself that this was going to be gemstone and wildflower hunting trip. And certainly on Thursday and Friday that's exactly what it was.